$1,539.99 each List: $3,362.00, You Save: $1,822.01! 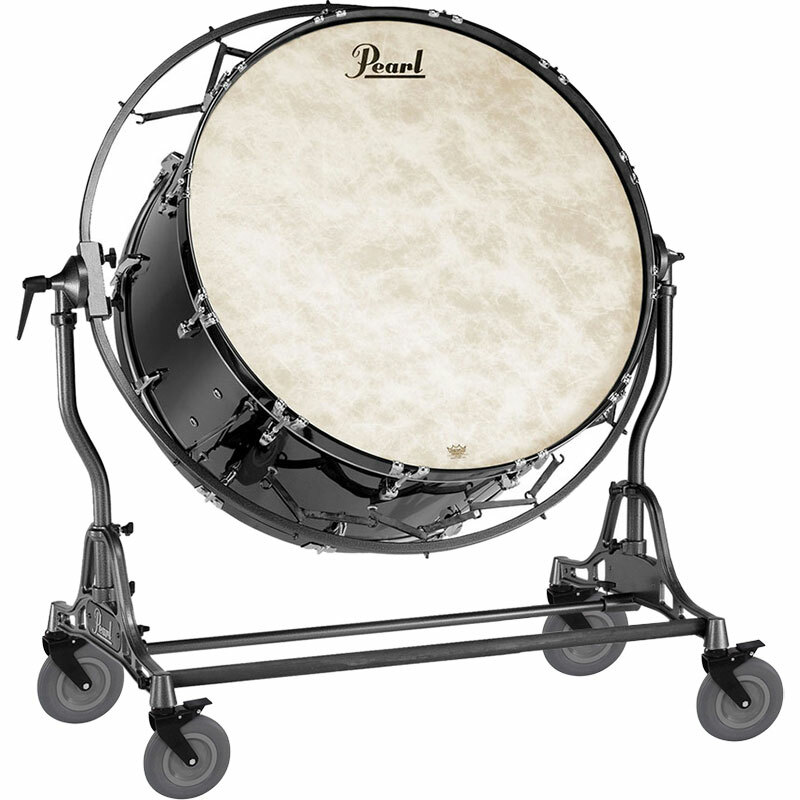 The Pearl 36" x 18" Concert Series Kapur Concert Bass Drum has a deep, audience-awakening tone for only a fraction of the price of a drum with a maple or mahogany shell. With its Midnight Black finish, this drum would fit as well on the marching field as it does in the concert hall. This drum has the largest diameter offered with the Concert Series, with a depth that gives it a degree of punchiness when you want it in addition to the big low sound you normally associate with the instrument. It's easy to dampen the other head with a drum this deep, as well! Thick, road-worthy wheels on the frame are perfectly suited for the trials and tribulations of marching season, easily rolling across grass, turf, pavement, and sidewalks. This drum also comes with Remo NuSkyn heads, made to sound and feel like calfskin without all of the humidity problems you'd have with a real skin head.